Fangio’s wins gave Mercedes its first back-to-back post-war Grand Prix victories, and it introduced F1 cars to fuel-injection, tubular spaceframe chassis and inline eight-cylinder engines. 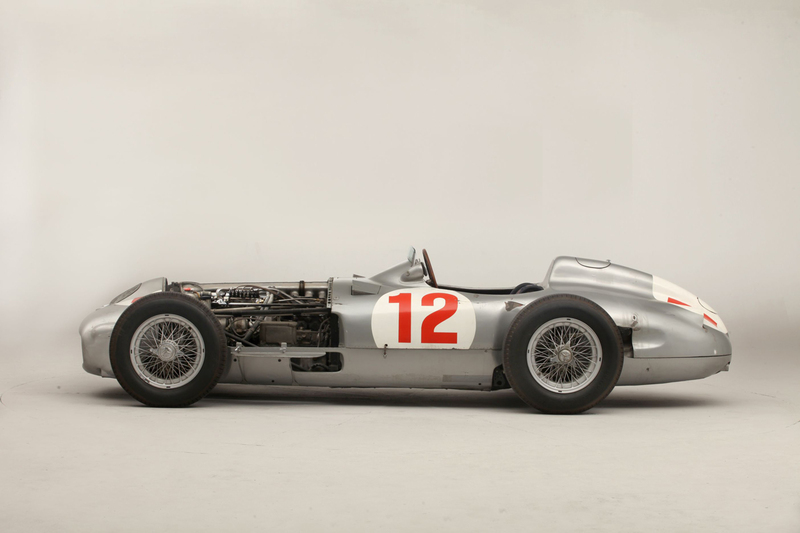 The most important historic Grand Prix racing car ever offered for sale. The Mercedes W196R came close to the record price for a car sold privately, with the current holder being a 1962 Ferraro GTO built for Sterling Moss that went for a reported $35 million in a private sale last year.